Excited to share with you some vibes coming back from the 70s. As you’ve probably seen by now, models have been strolling the streets with their variety of chokers and if you saw any New York fashion week, then you know that platforms are making a major comeback as well. High-waisted pants and ruffles galore are some of the gems to look out for in the stores. 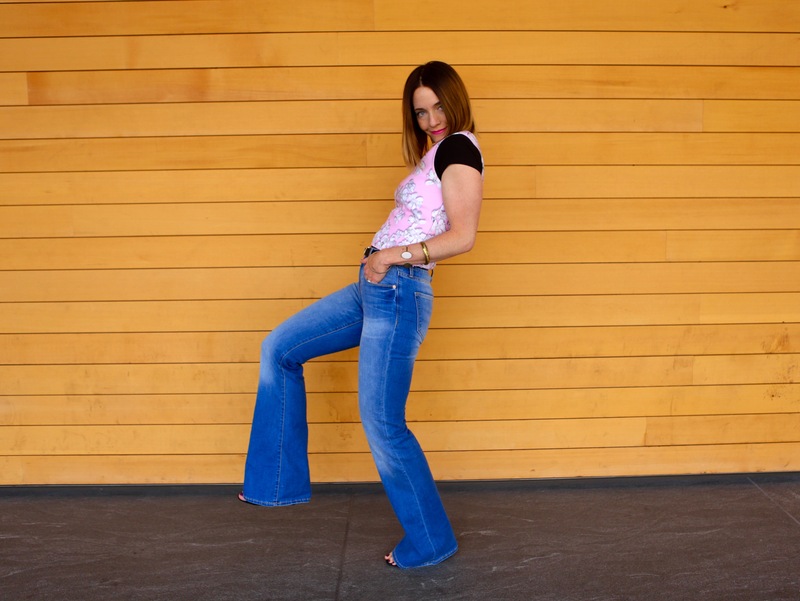 If you’re unsure of wearing something that comes up to your mid-belly, or spraining your ankle, then rock some flares instead. 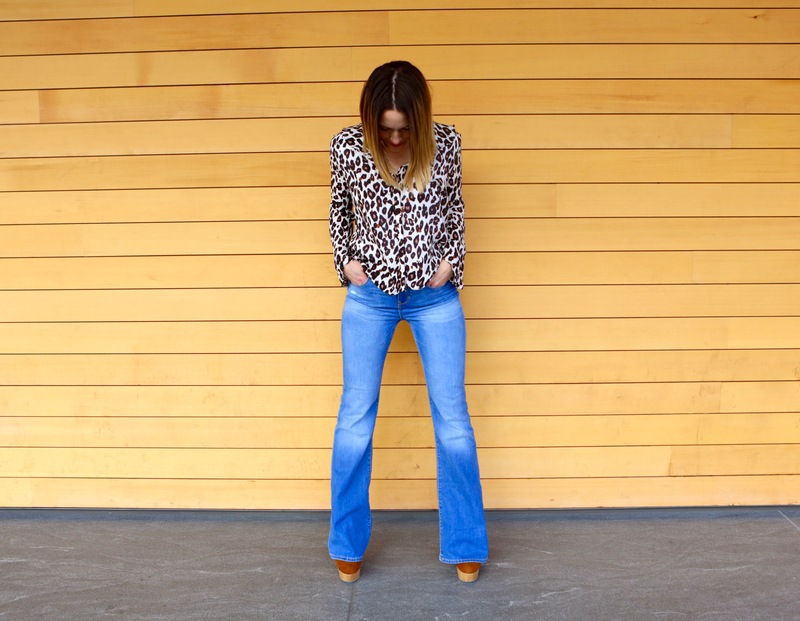 Flares or (bell-bottoms) are returning and no one is less sure of me wearing them than my husband. But like they say, girls dress for girls, right? Well, hopefully you dress for yourself to be creative and influential. Here are some great flares if you dares (see what I did there?) to wear this season. Pair them with platforms for the real deal, flats to settle it down or sandies because duh, it’s almost summer. I recently snagged this pair at Old Navy that I’m pretty craze about, craze because they’re flaring up a storm more dramatically than ever. They make me want to dance and prance and perfect every move that John Travolta ever boogied on the dance floor. I styled them with three quick looks that are easy to throw together and saucy for a day or night. 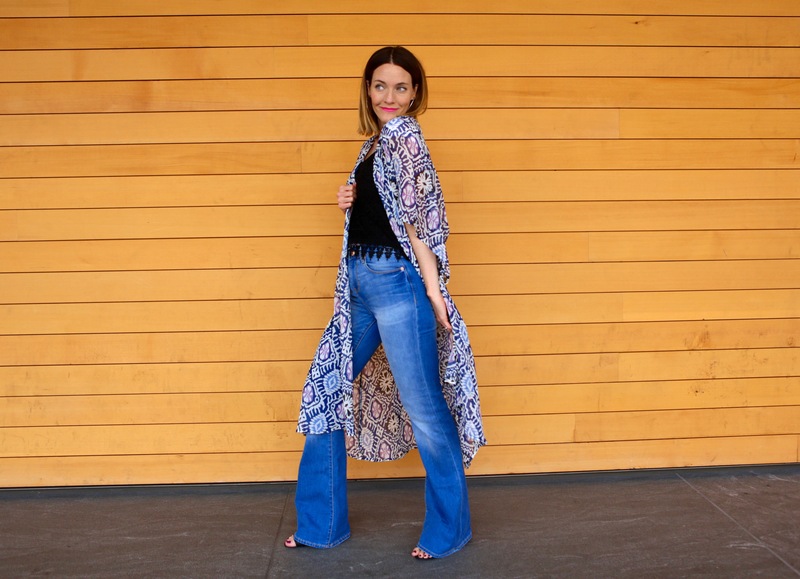 Letting it flow with a beach caftan and some heels for a good balance of style. Styling them with ruffles on top, surely does some throwback good. Pair them with a layered top, bangles and a belt to intermix the 90s. 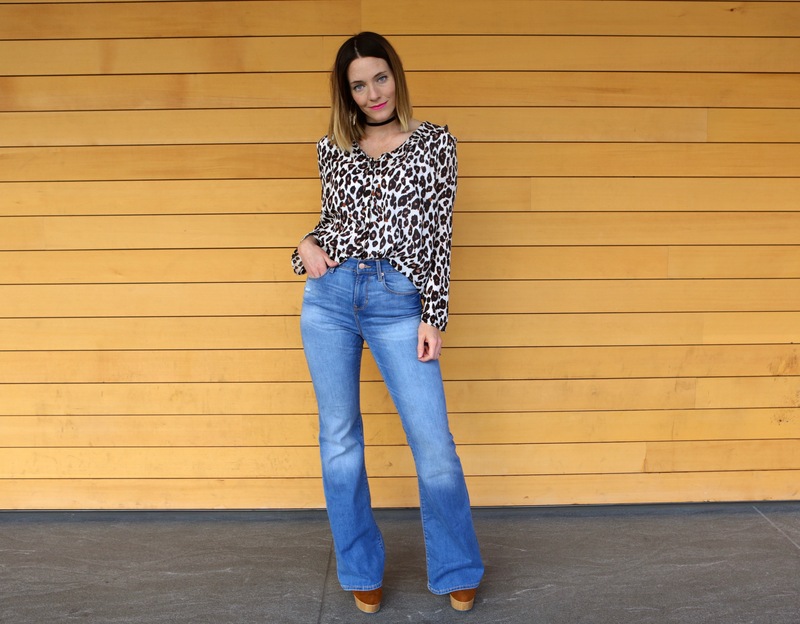 Not only are flares a refreshing flavor to our denim, but finding a pair that’s high-waisted can ease all your crop top needs. Hope you enjoyed this weeks post and thanks for reading! 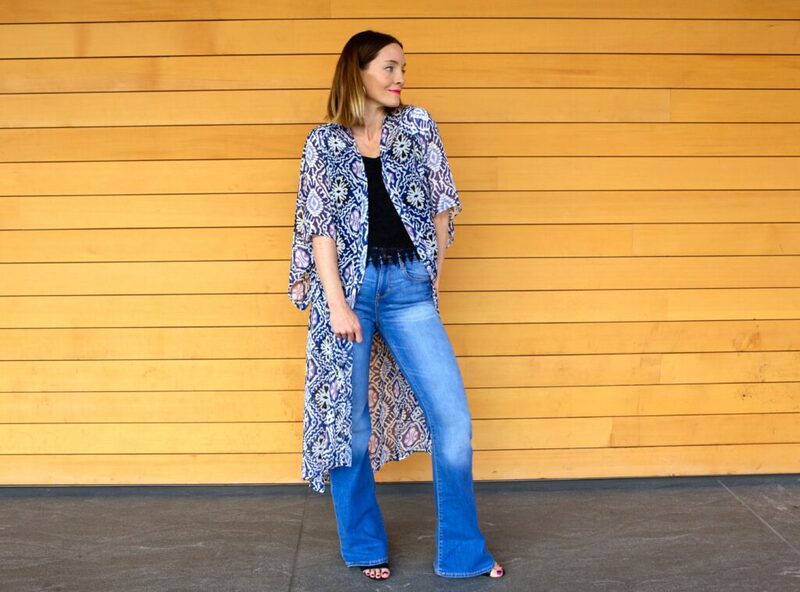 I’m loving these flashback styles and I hope you’re embracing pieces of them too.